There is a common perception that “bigger is better”. We come across this everywhere we turn in daily life. Whether it is shopping malls, cruise ships, televisions or diamond rings, it seems that size does matter! We also encounter this opinion across certain areas of the service industry, with Global Mobility being a particular example, given the increasing requirement for worldwide coverage. We have heard it said that no-one ever gets fired for hiring the “Big 4” Accountancy firms, and the same would go for the larger mobility firms. While there is always a place for the larger organisation, there is also the exciting opportunity for clients to work with smaller boutique firms – which offer the same or similar service proposition with a reduced financial cost and heightened customer engagement. They supply the personal touch that many people within today’s international conglomerates are looking for. These niche firms increasingly offer the global coverage that clients demand, combined with the personal touch that clients long for. 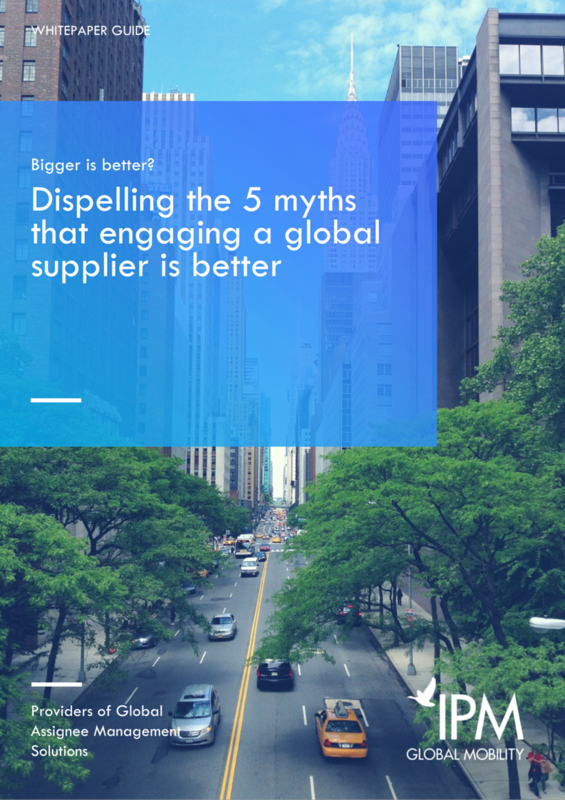 With this in mind, we wanted to respond to five of the more common myths about “bigger” being “better” when it comes to engaging a Global Mobility provider.